If you have children, you know how much they love to create. You also know the excitement you feel as a parent when that happy child brings a special piece home for you to admire. And you do! Now, picture how exciting it can be for your artist to have it treated with importance. So next time you receive a masterpiece from your son or daughter; and I emphasize that word masterpiece as I truly believe that children’s art is underrated, think about taking that extra step to custom frame and display the work in your home or give as gifts to family members. Doing so gives proof in a visual form, much like a trophy, of your pride in their creative energies. And the end result makes a priceless gift idea for parents or grandparents. So have some fun with this idea. 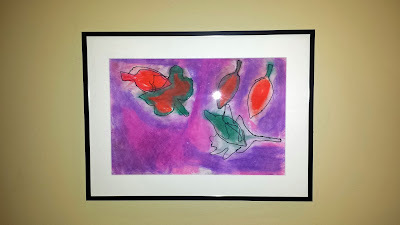 When you frame children’s art, it can be an opportunity to be free and silly with color and frame choices. This can also be a great DIY custom framing project that the family can do together. Involve them in the process. Let them measure their art and choose their mats and frames. They will feel even more special. Choosing a simple black frame with a white mat ensures that any kind or color of artwork will look great! 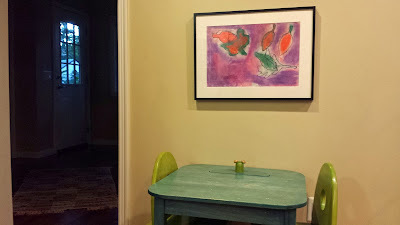 Look at how perfect this piece looks coordinated with the children’s craft area. Not all work has to be treated playfully. This Raven was given a sophisticated finish and looks elegant in an entryway. 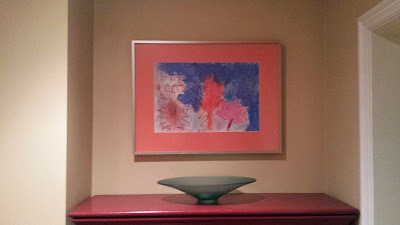 Also try using neutral frames with fun colored mats. 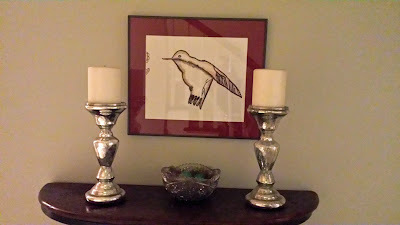 This allows for the easy changing of artwork in and out of the frames over the years. Match the mat board to the colors in the artwork for a fun twist on a standard framing treatment. Keeping the frames neutral ensures that the framing treatment won’t become too busy, perhaps better complementing the home’s existing décor. Ultimately, as with all custom framing, the design decisions are in your hands. Choose whatever style and color of framing materials that you and your children will love and admire! 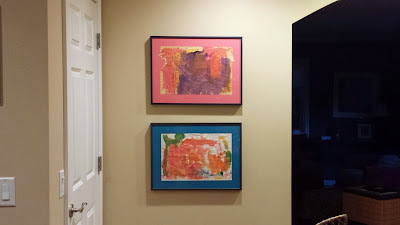 Whether they be neutral frames with colorful mats, or colorful frames with neutral mats or a mix of both, young artists will be sure to love seeing their creations hung on the walls. As they grow and become more skillful, who knows what they will be create for you in the years to come? 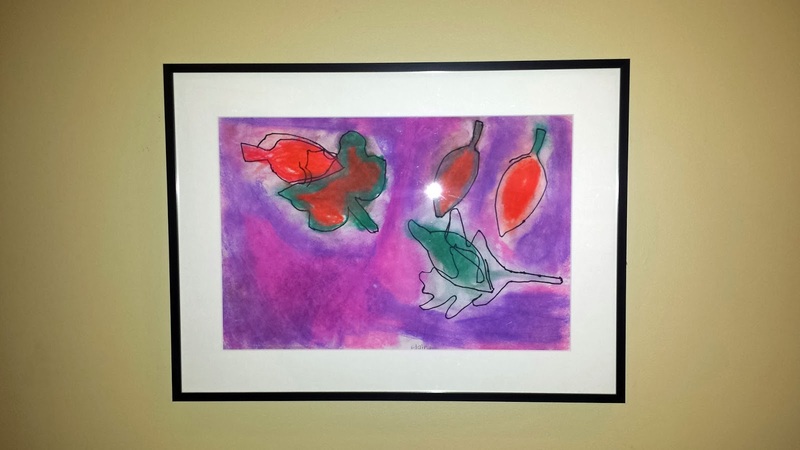 Have you framed your children’s artwork ? Share your pics. You have shared nice article about and Choose whatever style and color of framing materials that you and your children will love and admire!. Thanks! Wow! It looks great! You always do such amazing things in decorating. Love it! Blessings!